Today’s broadcast—save for just a touch too much treble that gave the flutes a presence and “breathiness” that wouldn’t have been heard in the hall—was superbly recorded and balanced. And I hope that all concerned will have a chance to hear it because much can be gleaned from this ambitious program. The Overture to Euryanthe burst out of the speakers like a shot—if occasionally missing its intonation targets—showing off the cheery and refined wind section to great effect. The chosen tempi kept things moving well, but placed the dominating dotted rhythms in the cracks of duple/triple accuracy. The brass—particularly the solo horn—were crystal clear and perfectly balanced with the tympani. Guest conductor David Alger opted for a somewhat sentimental, heavy approach to the BIG tune and the string lament, which would have been outstanding if only the violins could agree on the execution of their portamenti. But, in aural foreshadowing of the rest of the concert, some ensemble and articulation problems marred the unanimity of presentation. I’m a firm believer that the music always sounds better if we play what the composer wrote—his inner-most thoughts may be subjective, but an accurate rendering of those basic elements is an excellent starting point. Unfortunately, Alger and the band played a bit loose with the dots in one of Mozart’s most revealing essays: the D Minor Piano Concerto. The exposition told me everything. Half notes were routinely truncated, eighths following dotted quarters often jumped the gun (and gave no hint as to their significance as searching upper and lower auxiliaries of the dominant), stacatti were ignored, orchestral entries were surprisingly untogether, and single fortes were almost-always rendered as heavily accented sfzorzandi—ouch! Why all these natters? Well, if the basic components are not a given, how, then, can Mozart’s next level of genius be fathomed? Fortunately, Angela Cheng was not swayed by her backers and delivered a most-impressive reading of this sublime score. From the first entry, I was elated, realizing that she knew much of the subtext, employing a compelling variety of touch, understatement and technical surety to present her findings. But Alger couldn’t keep up and the collaboration never took fire. The “Romanza” was clearly the best of the bunch. Cheng led a thoughtful reading, which initially seemed to inspire her colleagues, but, alas, the magic of the G-Minor episodes“where the result should be more akin to the piano quartets“was never allowed to take stage. Incredibly, the movement lumbered to an end (the strings, once more ignoring the score and putting far too much flesh on Mozart’s short eighths) rather than secretly escaping into the night. Michael Colgrass’ Letter from Mozart was great fun—the reading was clear (both the text and the music; kudos once again to the production staff) and—as promised—not based on a true Mozart theme, full of percussion (much bang for the buck here) and a fine catalogue of orchestral effects of the twentieth century. (Can’t wait to hear what the 21st will have.) The almost unison violins lines were presented with conviction and more sense of phrase than anything that preceded them; the Kubrick-like vignettes complete with um-pah-pah and Café accordion added great colour. BUT, couldn’t Salieri, Haydn, or even CPE Bach have written the “letter?” Where was the Mozart-unique ability of taking “simplicity” and morphing it (through contrast, development and phrasing) into a “lifescape” rather than this soundscape in search of an accompanying video? I’d submit the original to a forgery expert for an opinion! 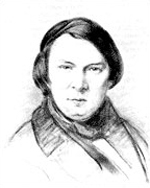 Alger seemed much more at home in Schumann’s D Minor Symphony that closed the program. His tempi were fine and, generally, the transitions were navigated with skill and direction. However, on several occasions I wondered if he had taken the time to step back into Raffi Armenian Hall and listen to his charges. Perhaps then he would have realized that although the legato lines were rich and enticing, the multitude of short notes and dynamic “shots” were allowed to be played in such a chubby manner (most players have worked so long and so hard at producing a beautiful sound that they must be forced, coerced or cajoled into chopping it up into “bits”) that there was never the punch and crackle so necessary to foil Schumann’s smoother lines. And I was disappointed with the electronic “snow” that accompanied the solo violin in the “Romanzerldquo; and hope that it was a transmission and not a recording fault.